A VISIONARY NEW SERIES! From the minds of New York Times best-selling writer Matt Kindt (X-O MANOWAR, Mind MGMT) and blockbuster artist Trevor Hairsine (DIVINITY, X-Men: Deadly Genesis) comes an expedition into the Unknown. Beyond time? Beyond space? Beyond reality itself? 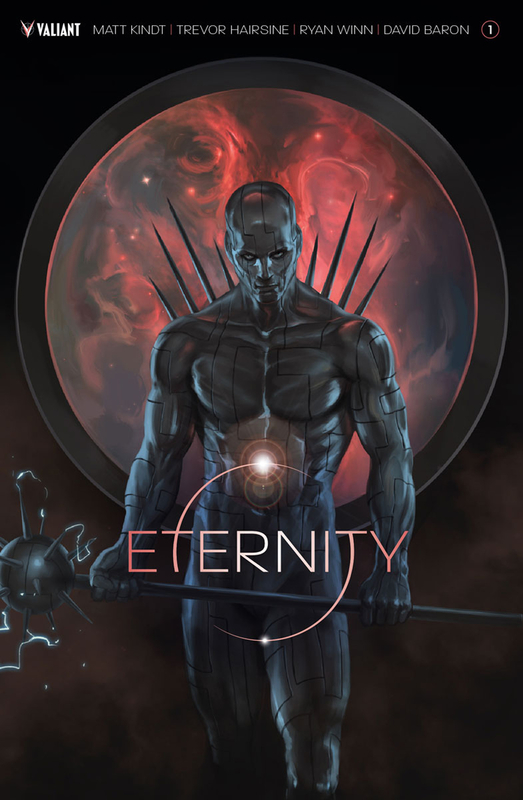 ETERNITY awaits! This October, Valiant unveils a new plane of existence beyond our own and unleashes a universe of new worlds, new beings, and new myths?